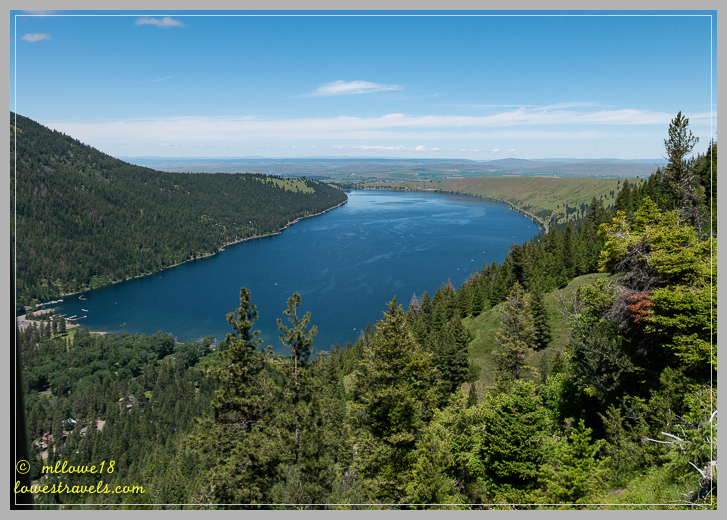 This is the second of a 2-part series covering our fabulous week in Wallowa County, OR. You can check out part 1 here. 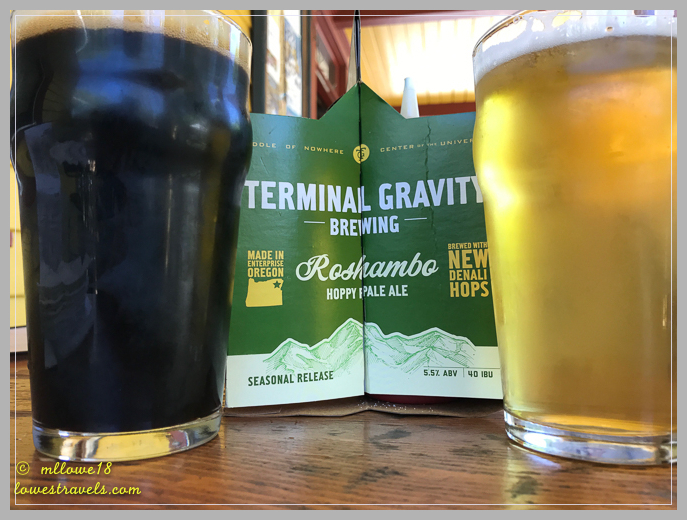 During our six+ years of travel, we’ve always tried to partake in activities that give us a unique perspective on the area we’re visiting. One of those activities is riding trams to mountaintops where we can experience the majesty of the surrounding area. 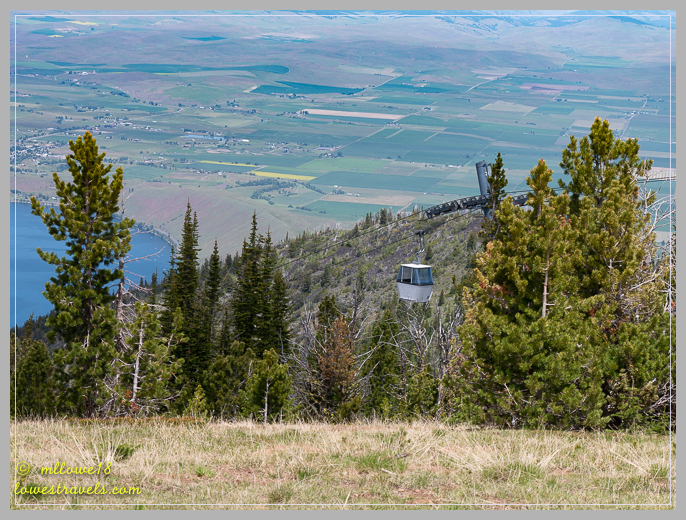 We had an opportunity to do just that here in Joseph, as we rode the Wallowa Lake Tramway up to the 8,000′ peak of Mt. Howard. It was a fourteen-minute trip up in what the operators claim is the steepest four-person gondola ride in North America. Once at the top we followed all of the available hiking trails. It added up to only 3.5 miles, but a couple of them led us to fantastic views of the valley below, mountains flanked by glacial cirques, canyons, the Eagle Cap Wilderness and the Seven Devils Mountains in Idaho. 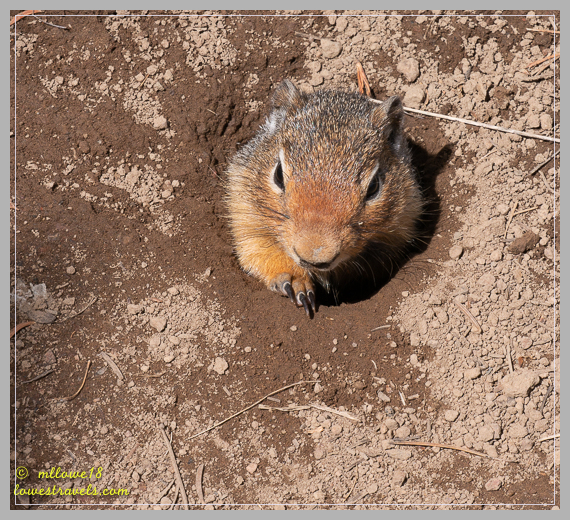 This cute little greeter at the summit came up hoping for a treat! 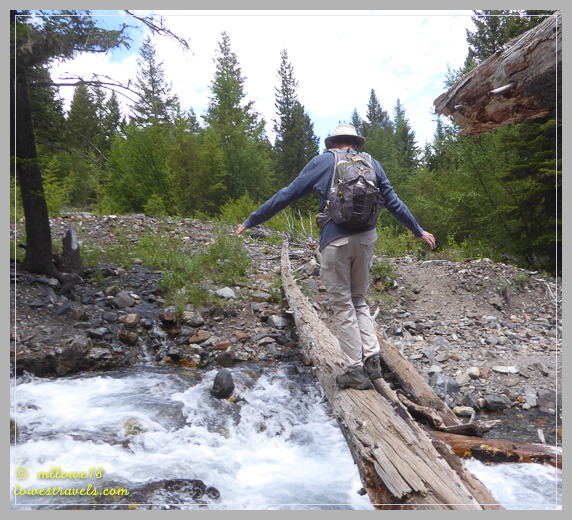 Hurricane Creek Trail takes hikers deep into the Eagle Cap Wilderness. It’s popular and heavily trafficked by people who just want to hike in a ways and turn around. That’s what we did, going about 3.5 miles before turning back, and enjoying the sounds from the roaring creek as we wandered along. 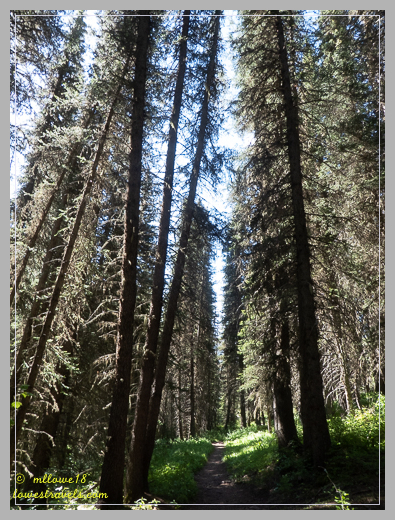 The trail twisted through forest before entering wildflower-filled meadows and mountain peaks. Should I jump on the end of the log? Spreckled along the trail were these vibrant wildflowers. Excellent background music during lunch! 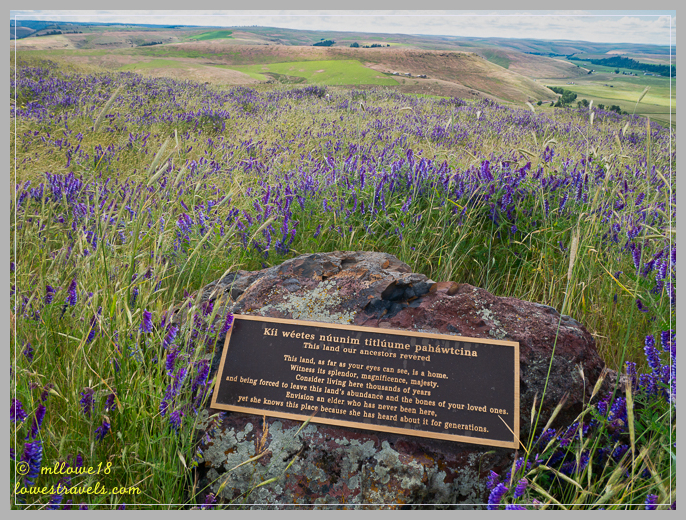 Another must do here, especially during the wildflower bloom, is a drive to Zumwalt Prairie Preserve. 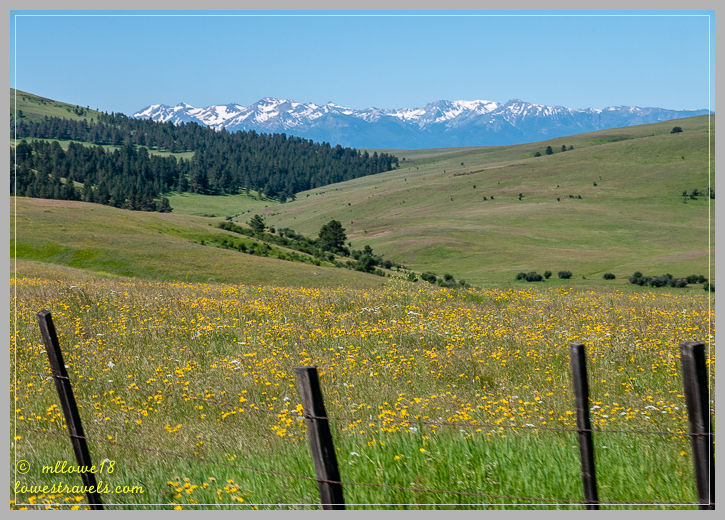 It encompasses 33,000 acres and is part of the largest remaining intact Pacific Northwest Bunchgrass prairie in North America. Luckily we came at the right time, as the hills were carpeted with all kinds and hues of wildflowers. I don’t think the ticks can get me up here! 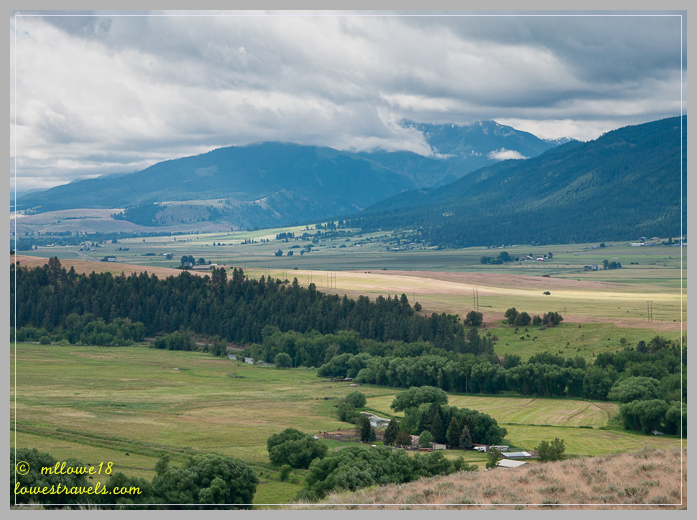 At Wallowa River RV Park, Betsy faced an open field and basalt ridges. We had noticed a switchback trail leading up the ridges to grassy upland at the top, and we vowed to hike it before moving on. Finally on our last day we put the boots back on and headed out from our site. 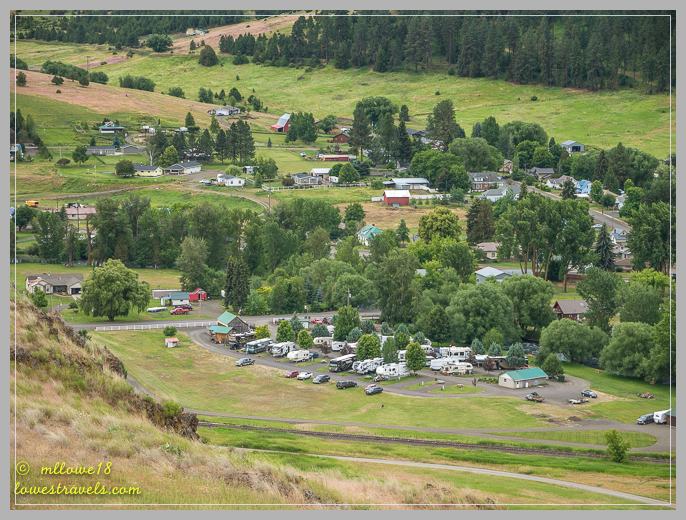 Once on top, we soaked up the views of Wallowa Valley and our RV Park at the end of town below. 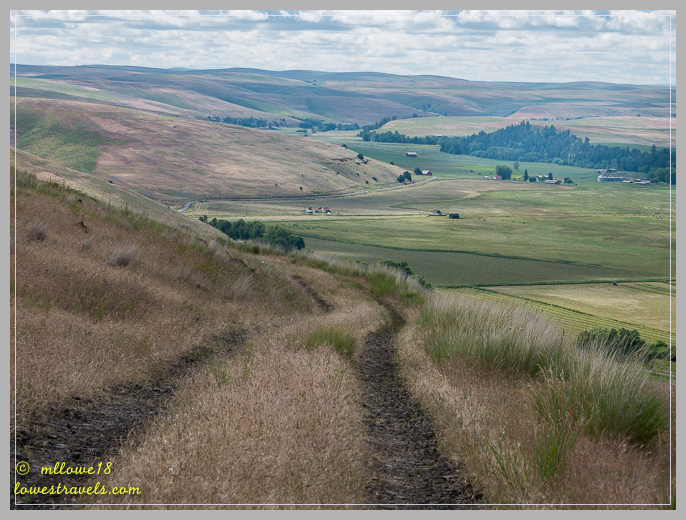 As we followed the trail we learned that the Nez Perce name for this place is “Tamkaliks”, meaning “From where you can see the mountains.” The natural vistas were quite impressive! We were glad we’d gotten this hike in before leaving. 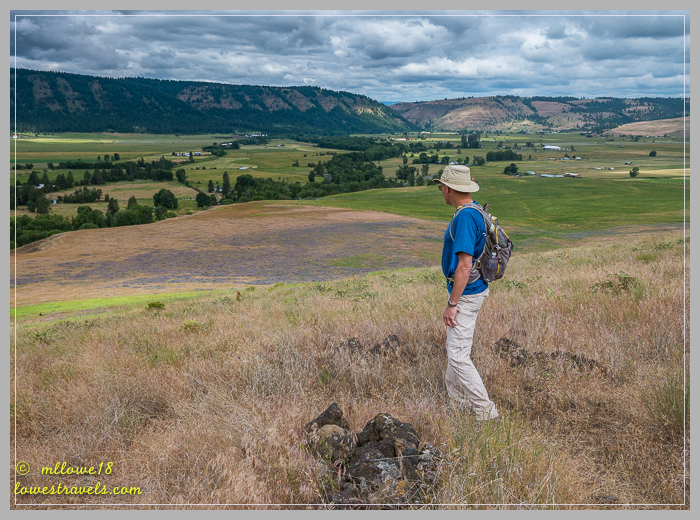 The trail was moderate, and a great way to see the blooming wildflowers up close. We didn’t find any ticks on ourselves when we got home, but to be sure we wasted no time in shaking out the backpacks and shedding our clothes before immediate showers. 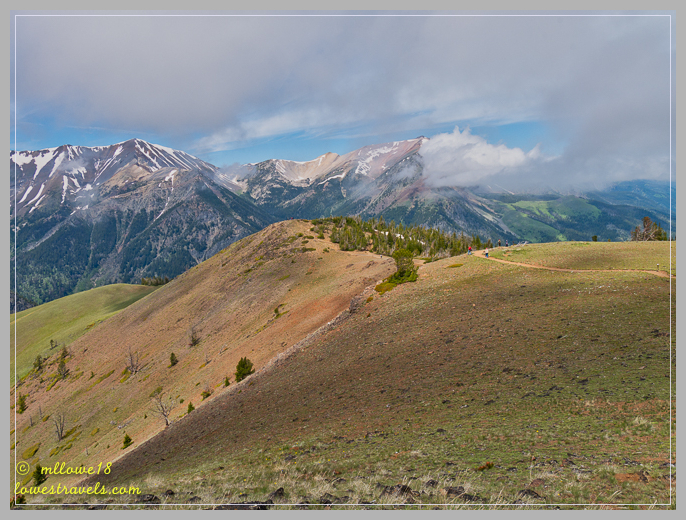 And that wraps up our exhilarating week at Wallowa County. 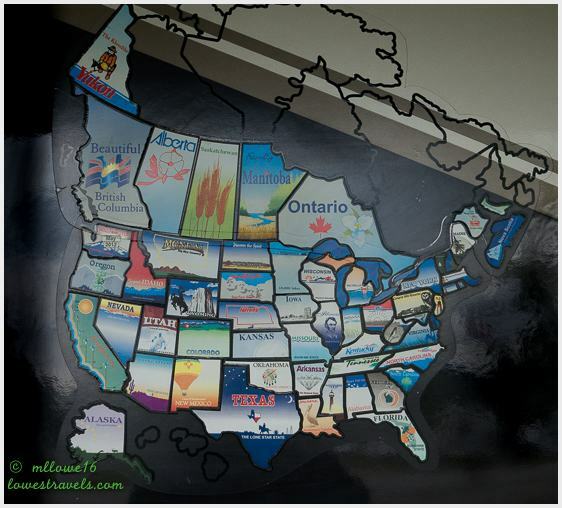 The map above shows how encompassing the county is, with so many activities available. As usual, we had to prioritize things we wanted to do, leaving some for another time. We enjoyed every minute of our stay, despite the daily “commute” to most destinations. 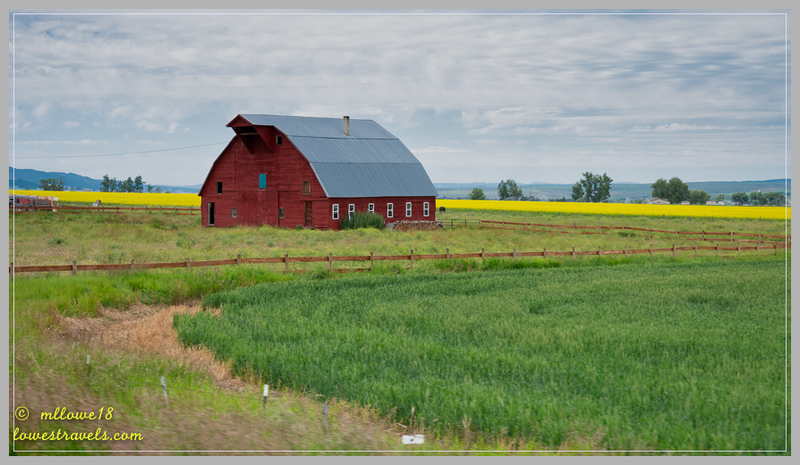 Breathtaking vistas, off-the-beaten-path gems and friendly laid back rural folks filled our days with a wonderful northeastern Oregon experience. 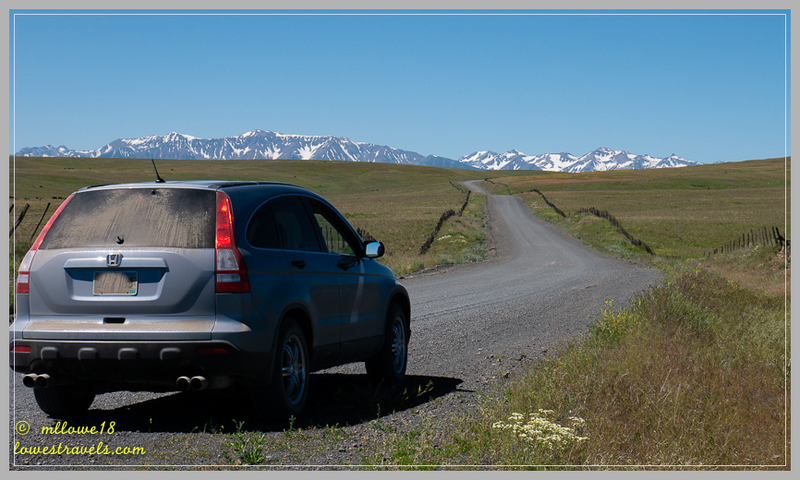 Whether or not we ever make it to the Swiss Alps, we had a great time at the Alps of Oregon. 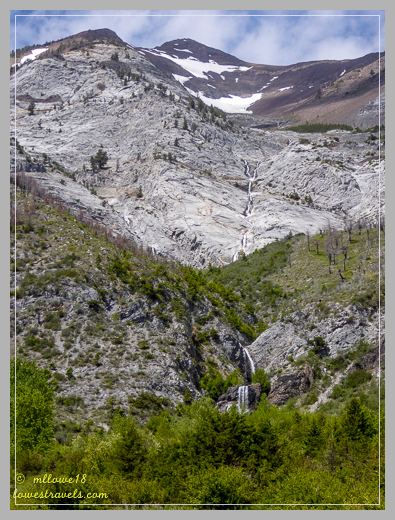 The Wallowas is definitely one of the most scenic areas in the northwest we’ve set eyes on! You need to revisit then! We love it there. 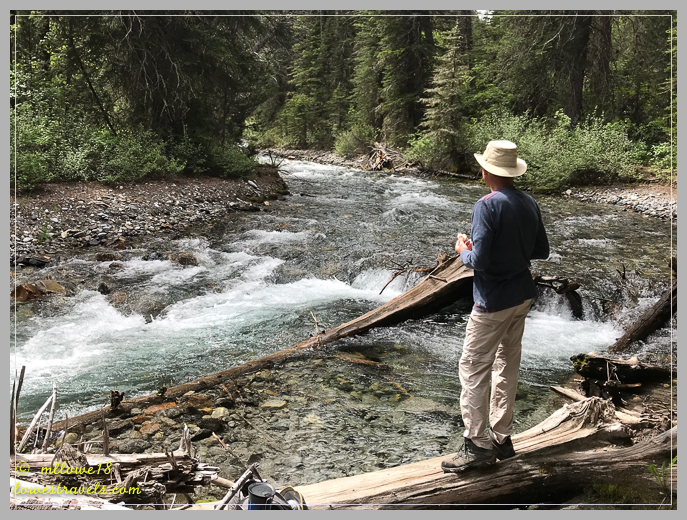 At our travel pace, it seems like we will have to give ourselves quite a bit of time to enjoy the Walllowas like you did. Such beautiful scenery … the photos exude a sense of peacefulness. It was really really beautiful there. We might return there someday at a different season to see another perspective. 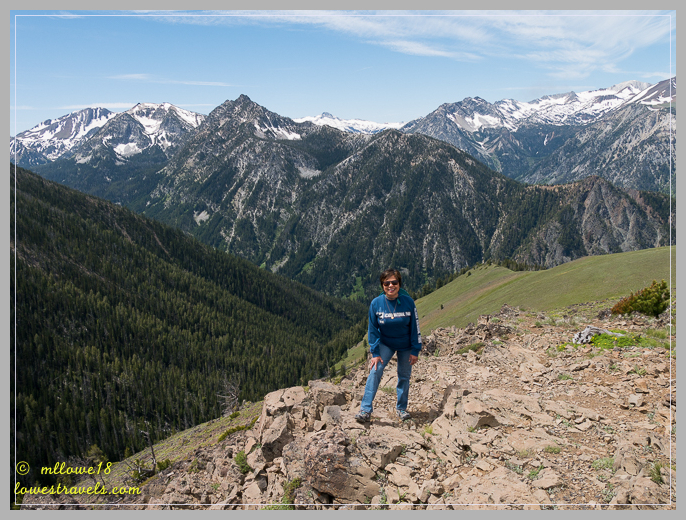 The Wallowas are probably our favorite part of Oregon. These posts have made me long to return, to do some of the hikes we left undone during our first visit. Your photos are spectacular MonaLiza. Thank You, LuAnn, We were so glad we finally made it there after a year delay. It was a peaceful and scenic area. I love it there. If we come back I would try to camp closer. You will love it there! Late June or early fall could be a good time to visit. Oh, MonaLiza, the photos are spectacular. I can hardly wait to follow in your boot steps. 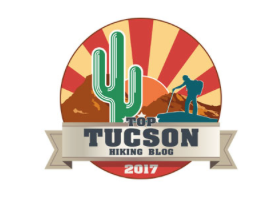 The tram and hiking on top sounds awesome. What great views! Tick Hill doesn’t sound real inviting but I do love the photo of Steve on the fence:) Thanks for the great ideas. You will definitely love it there! 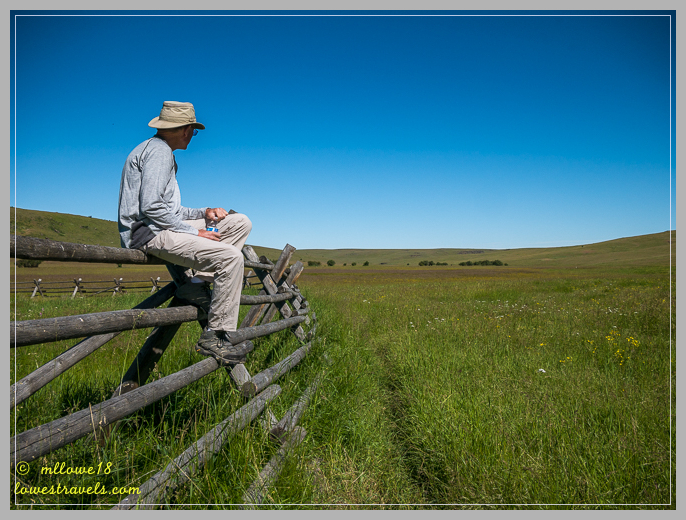 There are so many trails with some rewards and we could have done more had we camped closer to Joseph. Love it! I’m very much looking forward to that area. It will be fall before we are there though. 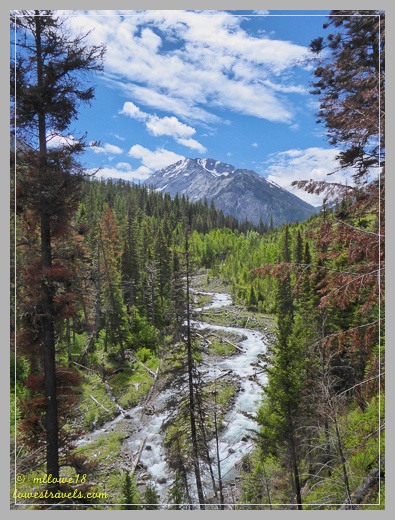 There are good scenic hiking trails there. Fall could be a good time, cooler and maybe the peaks will have snow again. Beautiful MonaLiza! You picked just the right time to go to enjoy the wildflowers. Wonderful hikes and the tram looks like fun too! I agree with Laura, it seems as though one could linger for awhile there taking it all in! Your photos are amazing! It’s breathtaking there and the wildflowers added to its beauty. Wished you could go there, its really worth the drive. We had about 1/4 mile visibility last year (because of the smoke) when we were near there. What a difference a year makes! Beautiful photos, MonaLiza! Thank you, I think the scenery provided a good photo op. Perhaps my impression of the place would be totally different if there were smoke too. Glad we came at the right time. 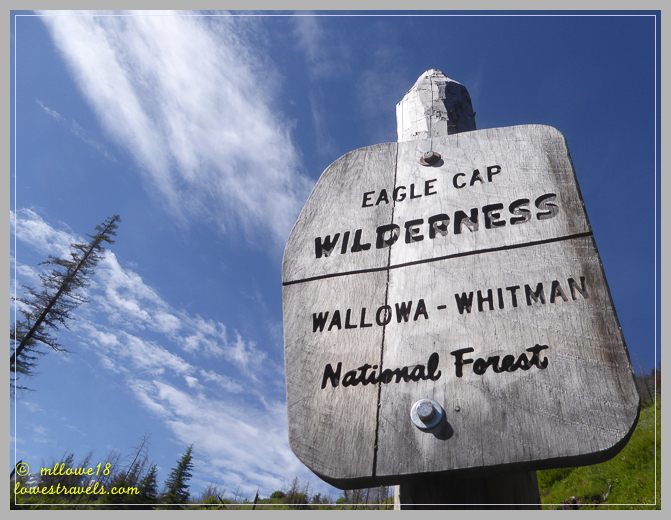 Agreed, one of the most scenic areas of eastern OR! Lovely photos…makes me want to return! Perhaps one day you will should you decide to be a resident of Oregon 🙂 Lots of trails to follow. What a great job you did of recapping your last three days. I’m not much for trams, they make me nervous going so high on just a cable but your pictures of the Hurwal Divide and of you with the Wallowas are gorgeous. As is the one of Sacajawea Peak on Day 5. What an amazing view. 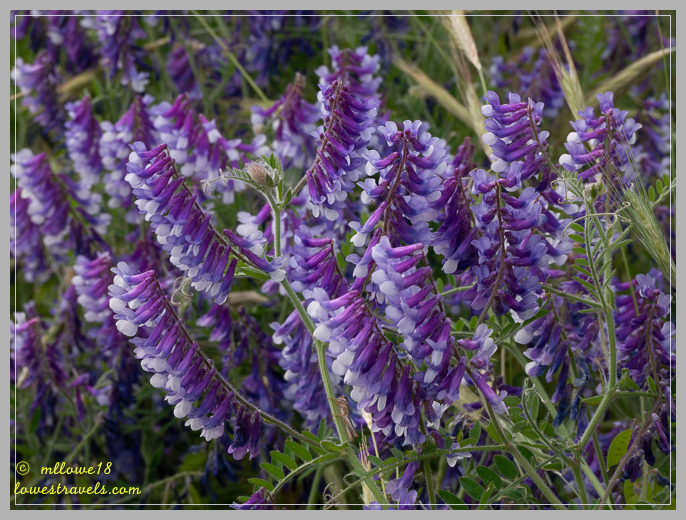 You seem to be at the right place for wildflowers throughout the year and your pictures are wonderful. I’m going to have to figure out how to plan to move from one gorgeous wildflower meadow to another like you seem to do. 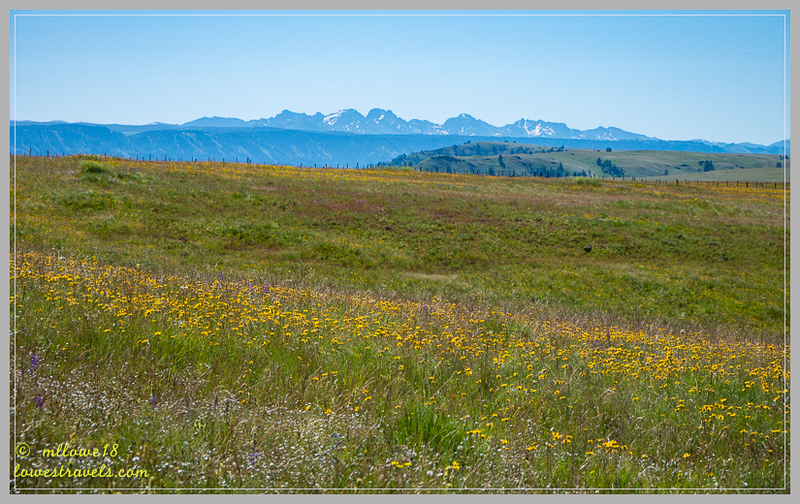 Your pictures of the prairie in bloom with the mountains in the background is beautiful. I think the picture of the view from Tick Hill down the two track looks like a painting. Your photograph is always top notch. Thank you Sherry, my camera just captured a picture perfect scenery. But you really have to be here in person to take it all in. Such a breathtaking place. This is an area I think one could easily spend an entire summer exploring. The hikes, the views, the cute towns… all of it could keep a person happy for a good long while. I’m amazed more folks don’t flock to this area in the summer, but that makes it all the more intriguing. Anyway, as always, it sounds like you guys found the best stuff to see and do which will make our future planning easy (thank you very much! ), and your photos are fantastic! The locals said their season begins in July so I think we were just there at the right time. I sure hope you can make it here, my photos may be great but seeing it in person brings in a whole different aura. You definitely do always give us “unique” perspectives of the places you visit! That gondola ride looked REALLY steep. Thanks for showing me the views because I’m too chicken to do it myself. 🙂 You visited at the perfect time with all of the wildflowers on the trails—so glad you saw the Zumwault Prairie in bloom. Your photos are beautiful. We’ll put the Tick Hill hike on our list for next time—the great views make up for the terrible name! Thank you Laurel. 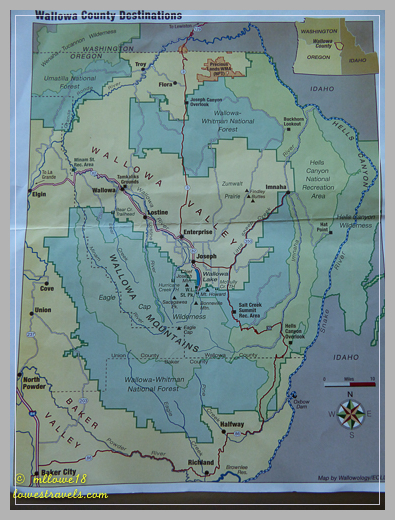 Just know Tick Hill is in Wallowa not in Joseph. I know you will revisit this place and I hope we can too. It is such a beautiful area, period! 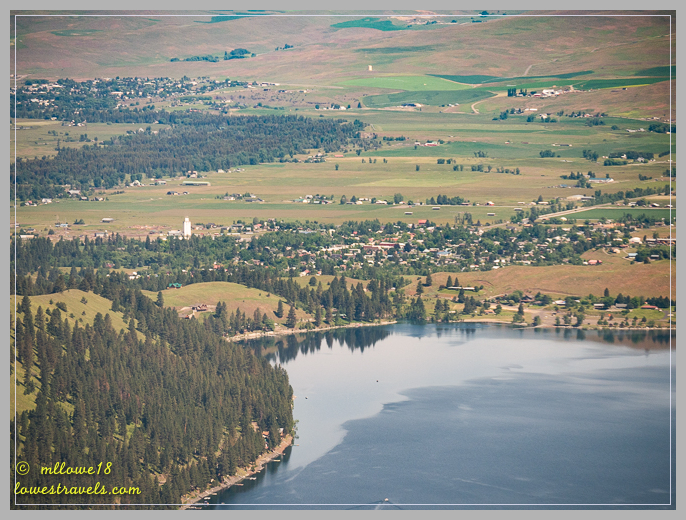 Ah, Wallowa, the first place we went on a longer vacation in our old RV. You did different things, though, and your fabulous (as always) photos remind us that we need to go back someday! Except for ticks, although apres-hike tick checks can be the glue that binds an RVing couple together.